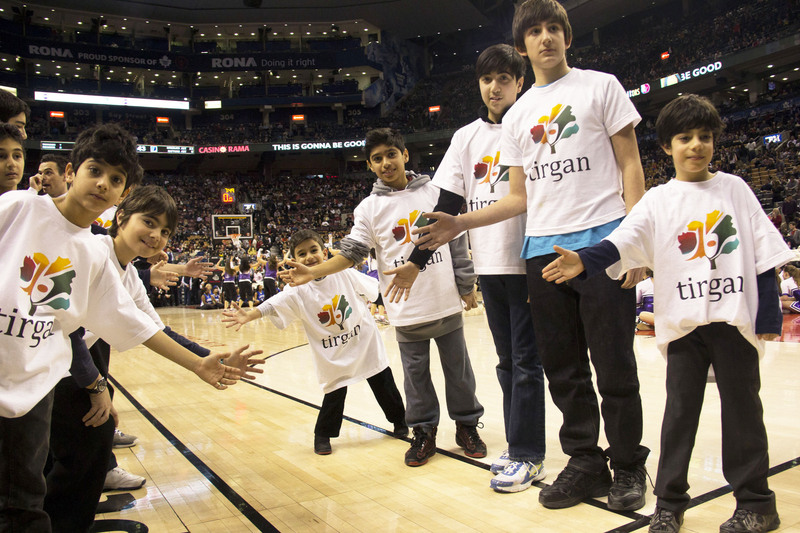 As part of the festivities, Iranian children wearing Tirgan shirts had the privilege of walking on the basketball court during halftime. The fourth and most recent installment of the Toronto Raptors Iranian night proved to be rousing event. With Toronto Raptor star Rudy Gay hosting his former (only traded last month) team Memphis Grizzlies – a formidable team in its own right – the Air Canada Centre (ACC) was completely sold out. This meant discounted tickets earmarked for the Iranian community were limited. That didn’t dampen the enthusiasm of fans, as over 400 members of the community attended the game, cheering their favourite team on. Most of the Farsi-speaking crowd was congregated in section 321, as well as sizable chunks in section 107 and 307. 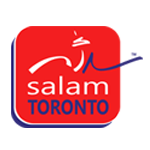 With proceeds of the discount tickets going to the Tirgan festival, many in attendance for the February 20th game are heavily involved with the popular annual event highlighting Persian culture and art. As part of the festivities, Iranian children wearing Tirgan shirts had the privilege of walking on the basketball court during halftime, exchanging high-fives with NBA players. While many fans were still anxiously wondering about Iranian-born Hamed Haddadi – the only Iranian in the league – who along with Gay was traded to Toronto in January. While he was still in the United States due to visa complications, the following day the Raptors traded Haddadi to the Phoenix Suns, ending hope of Haddadi playing for Canada’s lone team. While the Raptors lost to the Grizzlies 88-82 in a close defensive battle, the game had a playoff-like intensity, and the fans were loud. The loss won’t deter fans of the team, as the Raptors are relevant again in this city with renewed optimism about the franchise’s immediate and long-term future. And if last week’s Iranian contingent at the ACC are any indication, the Raptors have a lot of backers from this burgeoning community.